Winsor & Newton’s Studio Pencil Collection allows artists to enter a world of rich, vibrant colour. With so many colours in the range you’ll be spoilt for choice! 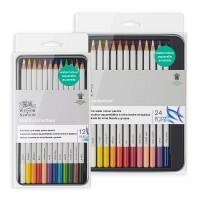 The soft, thick-core coloured pencils are excellent if you’re looking for incredibly smooth and vibrant colour, ideal for blending and shading. Water colour pencils can be transformed into vibrant washes using just a wet brush, making them ideal for any artist looking to combine the best of their drawing and painting skills. 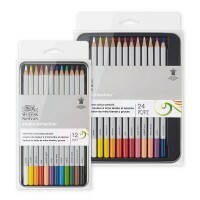 Find our full range of Winsor & Newton Studio Coloured Pencil Collections below.